The 2012 Harley-Davidson® Heritage Softail® Classic motorcycle FLSTC is fully equipped with modern touring capabilities and even has a removable motorcycle windshield. 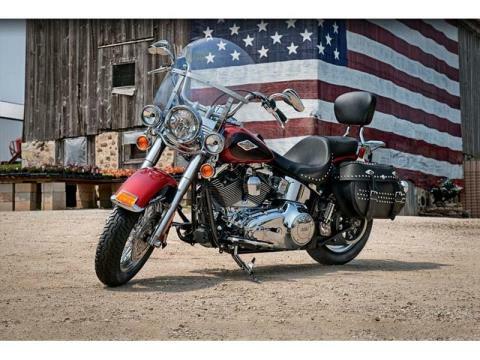 New for 2012, the Harley Heritage Softail Classic features a powerful, new, larger air-cooled Twin Cam 103™ Harley engine with 6-speed cruise drive transmission, providing more performance power for passing, hill-climbing, and riding with passenger and luggage. Enjoy mile after mile with a large capacity 5 gal. Softail fuel tank. 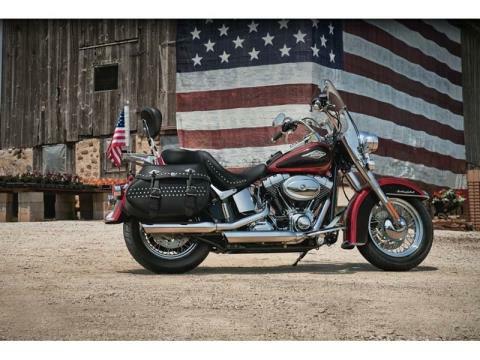 The Softail tank is also dripping with authentic Harley-Davidson style. 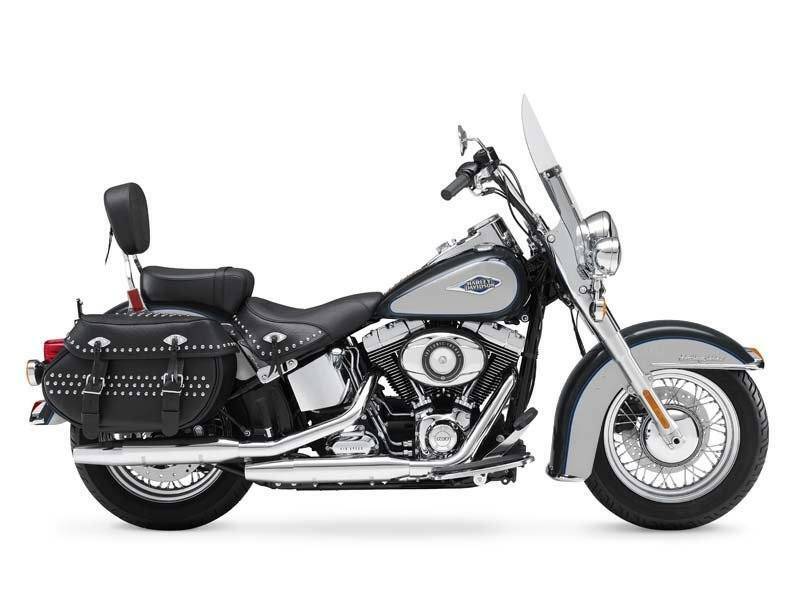 The Harley FLSTC has full-length rider footboards with rubber vibration isolation for added comfort. Another of the many great features of this classic motorcycle is the detachable motorcycle windshield. 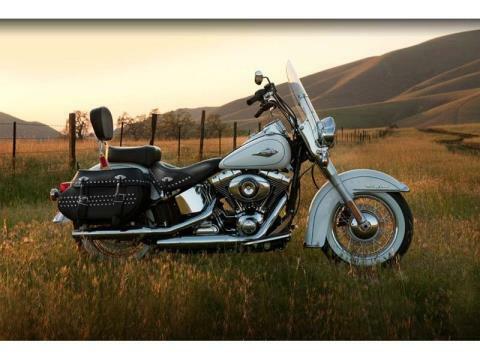 You can remove the Harley Heritage Softail windshield for a new look. Learn more about the style and functional components found on this bike. If you're looking for a pure classic cruiser motorcycle, check out the Fat Boy®.